Once you have played Tic-Tac-Toss Frisbee Drinking Game you will never think about Tic-Tac-Toe the same again. I’m sure your already familiar with how to play Tic-Tac-Toe. It is a really simple game, right? Well that is what most people say until they have heard of Tic-Tac-Toss Frisbee. Tic-Tac-Toss is one of our 8 Frisbee Drinking Games. 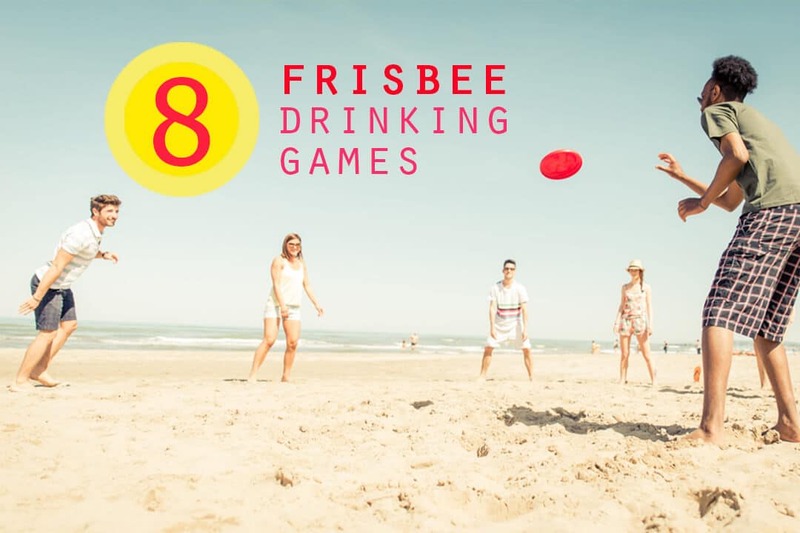 Another really simple drinking game is the Bocce Frisbee Drinking Game. The goal of Tic-Tac-Toe is to get three in a row before your competitor does. Same goes for Tic-Tac-Toss Frisbee but instead of deciding where you want to place your X or 0 you must throw a frisbee there instead. Trying to land your frisbee in the square makes it far more difficult and fun especially with a beer in your hand. 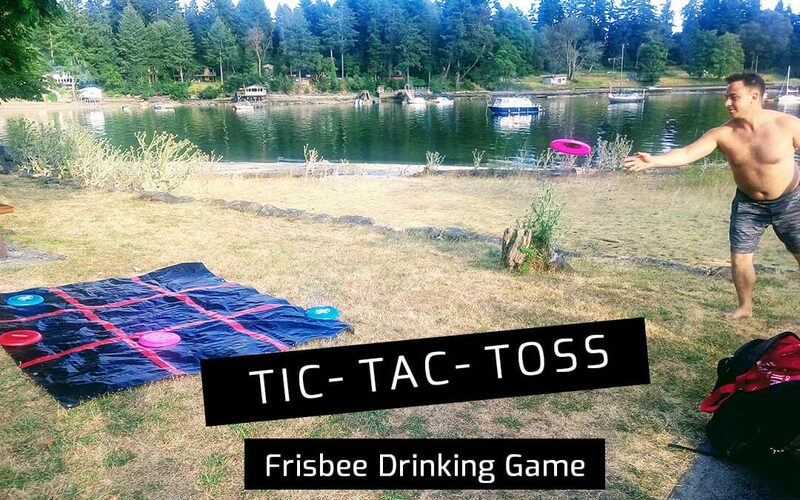 It is our new favorite camping drinking game everyone of all ages can play even when sober. One of the best parts of this frisbee drinking game is that you can play it while sitting in a camping chair too. This is a very easy do it yourself game that is the hit of any party! Besides picking up frisbees from a dollar store all you need is a tarp and duct tape. Dig into the camping box and you should already have most of these things already. Ideally you would have 12 frisbees with 2 different colours (6 each). If you would like to play the other awesome Bocce Toss you will need 4 different sets of colours with 3 each. For your 3 X 3 grid you will ideally want a tarp that is 6 Feet X 6 Feet. If you are buying it specifically for this outdoor drinking game the smaller tarps are much cheaper then larger ones. You should easily be able to find one for under $10. A larger tarp (that you would use to cover a tent) works just fine. You do not have to use the entire tarp and can just use a smaller section of this and do not have to use the entire thing. If its an 8 X 8 Tarp you can make up for the bigger squares but taking a few additional steps back before you throw. The last thing you need is some good old-fashioned duct tape to mark off the squares. We suggest something bright and fun if possible that is hopefully water or spill resistant. As you will see below used the red color so it stood out from our black tarp. Remember this game is very multi purpose and you can use the tarp for many purposes like a beach blanket or to cover an actual tent. We have even used the frisbees as plates when we forgot our plates for one of our camping trips. Just make sure to wash them out good before and after. The game is played on a grid that’s 3 squares by 3 squares. Start off by laying the tarp on the ground, and dividing the tarp into equal sections. This just means running 2 pieces of tape horizontal and vertical at equal distances. For a 6 X 6-foot tarp this means having 3 rows vertical and 3 rows horizontal. We would suggest using 2-foot squares each for the best fit of the game grid. When playing with 4 people you will need to spread out on all corners approximately 6 feet away from a corner while sitting in a lawn chair. This means you should have the other team members to your left and right and your partner directly across from you. When playing with just 2 players you will throw from the same spot standing on the same side approximately 6 – 10 feet away. The objective of Tic-Tac-Toss Frisbee Drinking Game is to get 3 in a row before your competitor does to win. Remember 3 in a row this means you can score by landing the 3 frisbees up, down, across, or diagonally. Make sure to pay attention and think ahead, it is difficult to hit the square you are aiming for and try to block out your competitor once they start getting a couple in a row. To start off the game and decide who throws first you can either play rock, paper, scissors, or throw for it. When throwing for it (which we recommend) try to see who can land their frisbee closest to the middle square as possible. The player who is closest to the direct center gets to throw first. For 2 player games you will rotate between tosses. With 4 player games (2 teams) you rotate 1 through per team before alternating between partners. Or just move clockwise around the game after the first person throws. When throwing the frisbee you need to land in a square that does not already have a frisbee in its square. If you are the first to land in the square then it is yours and nobody can take that from you. If someone else lands in that square they need to remove their frisbee and as you will see in the frisbee drinking rules will also have to have a drink. As the square are smaller then you use the exact middle of the frisbee to determine which square it lands in. If it lands in two squares look at the exact middle to see which square it lands in and hopefully there is not another Frisbee in the square. 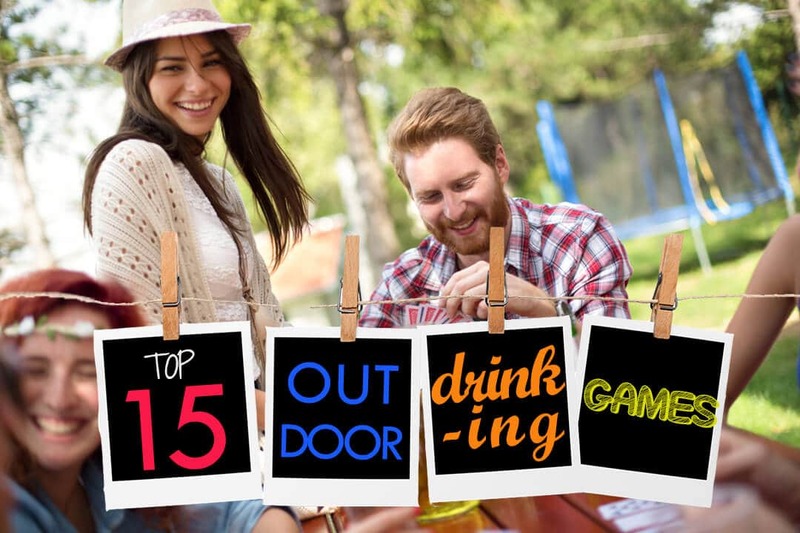 Odds are while you are enjoying some amazing outdoor games with friends you may crave a few cold alcoholic drinks. The great thing about backyard drinking croquet is that you will not get yelled at for sneaking your own beer in! Smashing your friends at a game of Croquet and enjoying some brews is a good time. To make sure your Croquet drinking games are organized we have the Backyard Games Croquet Rules for everyone to follow. Have fun with this one, get creative, and make sure to always allow your other team sufficient time to get additional drinks. It would be easier if you just brought the cooler out beside you. If you decide you want to have an even more challenging and long-term game you can add a few additional squares for your grid. Try 4X4 or 5X5. With these you will need more Frisbees (or can use a placer holder like a rock or beanbags instead). Just make sure to get out there and get your Backyard Games on!